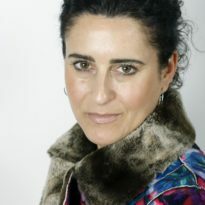 Margot is Associate Professor in the Law Department and the Centre for the Study of Human Rights at the London School of Economics and Political Science (LSE). Her main area of teaching is international human rights law and its interface with poverty, development, and economic globalisation. At LSE she directs the interdisciplinary Laboratory for Advanced Research on the Global Economy at the Centre for the Study of Human Rights and coordinates a cross-departmental research group on Globalisation, Poverty and Responsibility. Margot is an Associate of LSE and Leeds’s Centre for Climate Change Economics and Policy (CCCEP). She teaches on the LLM, LLB, MSc in Human Rights, and supervises PhD candidates in the areas such as socio-economic rights, development and international law, and environmental rights, including as part of cross-disciplinary supervisory teams. Margot has been a consultant to the Office of the UN High Commissioner for Human Rights on extreme poverty and human rights and on the right to development, and to the World Bank undertaking a study on Human Rights and Economics . She sits on a number of editorial and advisory boards, and from 2008-2012 was a Member of the International Law Association’s Committee on the Rights of Indigenous Peoples. She is currently vice Chair of the Association of Human Rights Institutes. In 2012 Dr Salomon was a Fernand Braudel Senior Fellow in the Law Department, European University Institute. Prior to joining LSE in 2004, Margot was a representative to the United Nations and to the African Commission on Human and Peoples’ Rights of Minority Rights Group International. Margot holds a PhD in International Law from LSE, an LLM in International Human Rights Law from University College London, and an MA in Comparative European Social Studies from the University of Amsterdam. Her BA was received from Concordia University in Montreal. Environmental justice; human rights and climate change.